Have you been looking for the perfect door to suit your home? Yet you can’t seem to find the right one, it’s either too wide or not the right shade you need.  Crown Windows offers the highest quality replacement doors for you, available in a variety of different shades, colours and designs to really suit your home. During this blog, we are going to be informing you of all the decorative doors for your home we have to offer, so let’s get straight to it then. The Right Door for You! Understandably it’s difficult trying to pick the perfect door for your home, with there being so many different designs and styles these days to choose from, who really knows what’s in fashion and up to today’s standards? At Crown Windows, our team are fully dedicated in giving you a choice like no other! Whether you’re not interested in keeping up with today’s times and would much rather keep it traditional, then our wooden doors would be definitely up your street. Maybe you do want to dive into the modern world, and try something different. Our array of Bi Folding Doors we have on offer are certainly a talking point in your home, also displayed in a range of different colours to really suit your home. But What If One Isn’t Enough? Of course one door is not enough! Why settle for one design when you can have a variety of different doors in your home? There is a main misconception with our customers, whom many assume that they must go for one door and one door throughout the house. This simply is not the case! Every room is different and represents its own story. For example, if you have a patio leading to the back garden, then the obvious door type to go for is our Patio Doors. Alternatively, you want to opt for the traditional front door, then our UPVC Doors is definitely a popular choice. All of our doors in Leighton Buzzard are created keeping in mind practicality, simplicity and luxurious designs, we offer competitive low prices and no hidden costs on all our services. So if you’re in need of replacement doors for your home, then give us a call today for your free quotation.